But I have found that Romanization works in reverse. Rome has challenged my civilized customs. “Give a Hoot, Don’t Pollute” is not entirely compatible with the Roman trait of “menefreghismo,” the attitude of not caring less. The Romans would eat Woodsy Owl alive. The Romanization seeps in. In the mornings, I play the stacking tower game Jenga with the cardboard teetering atop the recycling dumpster. I try, but if there is no space, and the garbage tumbles to the street, well, whose fault is that? The disregard for public space is infectious. I feel the etiquette fall off me as I merge into traffic or skip the line. Rome exalts the furbo, or clever, and pities the fesso, or fool. Your house better be clean, your clothes ironed, but only a sucker would sweep the sidewalk. There are, however, green shoots of civic engagement breaking through the cracks of the degradation. In recent months, demonstrators have chanted “Rome Says Enough” under La Raggi’s window. 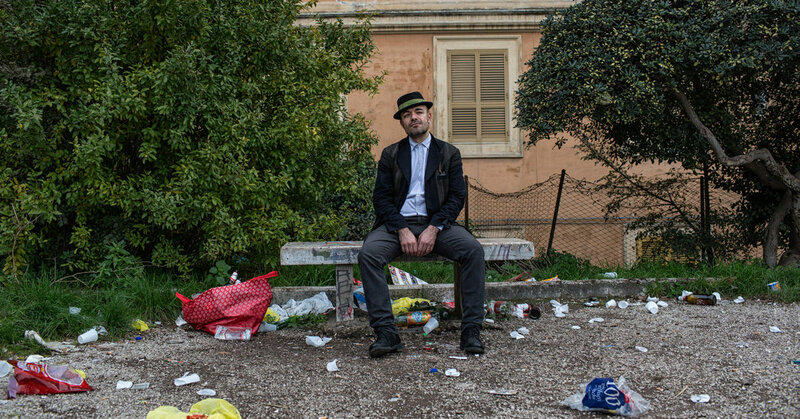 Associations dedicated to the rehabilitation of Rome, such as Retake Roma, have sought to fish car parts from the Tiber’s banks. And the other day, I got a ticket for parking my scooter on the sidewalk. It actually felt — good? When not behind the wheel, my wife is part of the solution. She has volunteered with our kids to pick up trash at Villa Sciarra, the park by our house. Once venerated for its strutting peacocks and elegant statues and corridors lined with palm trees, Villa Sciarra has fallen into ruin. Bugs and abandonment have reduced the palms to rows of stumps. Vandals have broken the heads and limbs off the statues. Vagrants bed down amid taped-off branches at night.